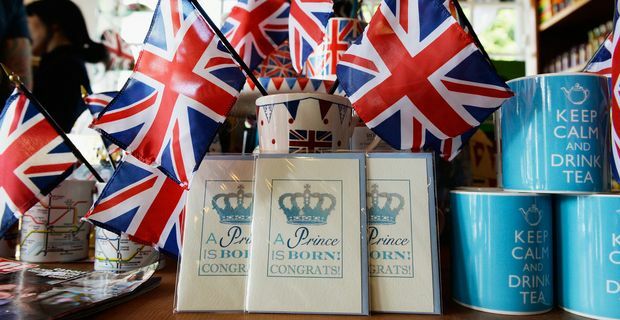 London threw an impromptu party to celebrate the birth of a prince. The Duchess of Cambridge, the princess formerly known as Kate Middleton, gave birth to a baby boy, late in the afternoon, rewarding the thousands of well-wishers who had gathered outside the St Mary's Hospital in Paddington to await the birth of a future monarch. "Her royal highness the Duchess of Cambridge was safely delivered of a son at 4.24pm," Kensington Palace announced. The birth was not made public for four hours so that the couple could enjoy some time with their baby before the news became public property. Prince William was present for the birth, and called the Queen, his father Charles and younger brother Prince Harry to announce the birth. Women around the world experienced a degree of sympathy at the news that the duchess was in labour for nearly 11 hours before delivering a prince who weighed in at a hefty 8lb 6 oz. "We could not be happier," Prince William said. After the birth, attention turns to frenzied speculation about the name. The bookies make George or James favourites, with a total of eight kings already with those names. Those who believe the couple will keep it in the family suggest that Charles or Philip are strong possibilities. The birth of a prince at least sidestepped a potential constitutional problem. The rules governing succession were recently changed to allow a first born female to succeed ahead of a younger brother. Some countries in the Commonwealth were resistant to the idea, but with another male heir the problem will not arise. The birth placed two of the House of Windsors more embarrassing members, Prince Harry and Prince Andrew, a further place down down the line of succession, although arguably the most embarrassing royal of all, Prince Charles, remains heir apparent.